Shine the Hair Studio is a comfortable, fun and creative space where clients feel pampered, inspired and confident. Shine’s stylists bring their unique flair and personality to every appointment. 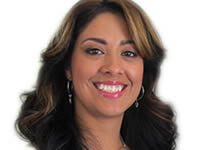 Shine’s stylists are well versed in the latest cuts, styles and treatments. Shine only offers products that will help you look and feel your best. Shine is the premier salon destination in the Montclair Village. We believe in having fun and being creative, while keeping an eye towards beauty and fashion. Shine’s stylists are well versed in the latest cuts, styles and treatments that will help you feel beautiful and confident as soon as you step outside. Welcome to Shine the Hair Studio — the place you come to feel inspired and pampered, the place you leave feeling relaxed and confident. Shine the Hair Studio opened in 2009. Stylists Cynthia Contreras and Kristen Brill, who had worked together since 2002, were inspired to create a space that was comfortable and fun, and where their clients could feel pampered and relaxed. In 2012, Cynthia and Kristen welcomed Ildiko Shedd to the studio. In addition to keeping their eyes on the trends of the day, Cynthia and Kristen continually look for opportunities to learn more about the latest cuts, treatments and make-up applications. Indeed, over the past handful of years the duo has taken classes offered by Redken, Scruples, L’Oréal and Framesi and many others. Cynthia has been in the beauty business for more than 20 years. In addition to her beauty school education, Cynthia has learned from Vidal Sassoon and Aveda trained stylists, Aveda and M•A•C make-up artists and from classes sponsored by Sojourn, Framesi, Keratin Complex and IT&LY. The combination of experience and education makes Cynthia one of the most sought after hair and make-up stylists in the Montclair Village, where she has worked for more than a decade. To reach Cynthia via email, please click here. 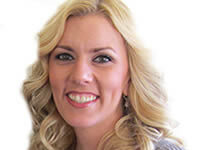 Kristen Brill launched her beauty career more than 10 years ago. Over the past decade, Kristen has taken cutting and coloring classes at Redken, Scruples, L’Oréal, Sojourn, Framesi as well as in-depth product courses sponsored by Keratin Complex, Framesi and IT&LY. Kristen’s fun and quirky spirit is evident the minute the doors at Shine open. At the same time, she takes great care in listening to her clients and bringing their ideas to life so, they leave feeling confident and beautiful. To reach Kristen via email, please click here. 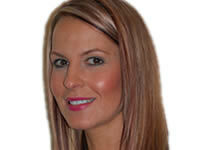 Ildi comes to Shine with years of experience at some of the area’s top salons. Formally educated at Paul Mitchell-San Francisco, she has expanded her skills to include Vidal Sassoon cutting techniques, INOA Color Certification, Redken Advanced Foil and Highlight Certification and L’Oreal Advanced Color Training. Ildi is masterful at combining creative color and highlights with classic styling and precision cuts. To reach Ildi via email, please click here. Shine the Hair Studio is the premier salon in the Montclair Village of Oakland. Shine stylists have an eye for beauty and are dedicated to finding just the right look for every client. Please visit to learn more about specific Services and book an appointment now. Shine only offers and uses products that have been tested and approved by Cynthia and Kristen. Shine uses dyes by IT&LY, Framesi and L’Oréal Homme. Please visit to book an appointment at Shine. For your convenience, a confirmation email will be sent upon booking. Late appointments may be available. Contact your stylist directly to check. Shine asks for a 24-hour cancelation courtesy. For any appointments missed or canceled before the 24-hour courtesy, Shine will charge 50 percent of the appointment fee. Shine the Hair Studio is located in the heart of Oakland’s Montclair Village. Our entrance is between Starbucks and Edward Jones, up the stairs. We are open Tuesday through Saturday, 9AM to 6PM. Please visit to book an appointment.